A salon manager wears many hats, such as administrator, boss, custom service liaison, and more. A great resume will outline all of your applicable professional experience. For this role, you’ll want to highlight your past management experience, including experience with hiring, training and coaching staff, or experience managing budgets and sales development. Be sure to mention your education as well as all of the current licenses you hold, such as an esthetician or spa license. 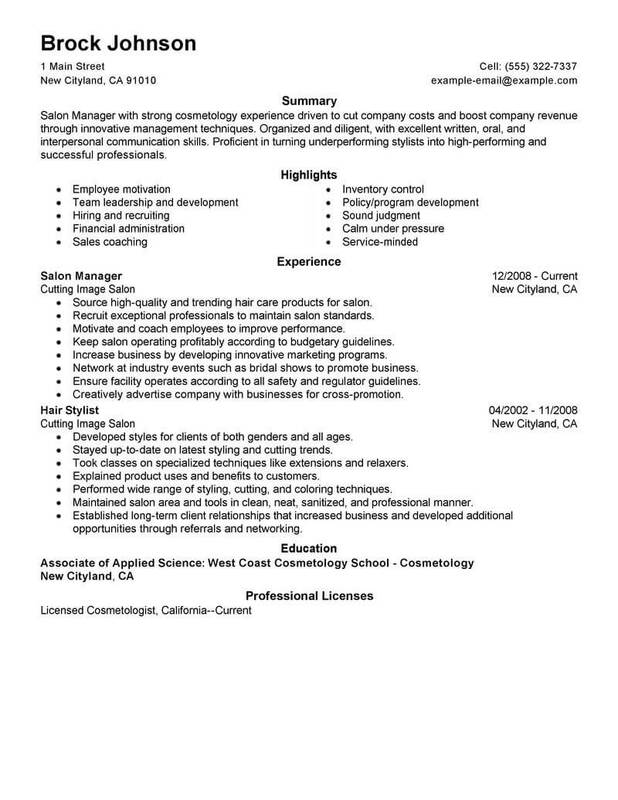 For more ideas on how to make your resume picture perfect, see our salon manager resume example. A salon manager is responsible for the every day running and business success of a hair or beauty salon. You’ll need excellent customer service skills, plenty of salon experience, and a winning resume. The resume examples below are a great place to start. Just click on any of these resume examples to get a good idea of what a successful salon manager resume looks like, then get started on creating your own. It can be difficult to find jobs as a salon manager, but the entire process can be made easier by taking the right steps. Maximize your chances of success by studying the following short job search guide. 1. Do your research. Every industry has unique hiring practices, and knowing what these are for your chosen field is hugely beneficial. Look into what the typical expectations and qualifications are so you can know how to focus your application strategy. 2. Know what all your options are. Do not limit yourself to just one position. It is fine to have a first choice, but do not forget that other jobs may help you reach the position you are most interested in at some point down the line. 3. Take time to strengthen your network. Making connections is more important than ever before. Hiring managers are more likely to choose candidates whose resume they receive from someone they know. 4. There are plenty of resources available on the Internet; make sure you are using them. Everything from databases of employer information to application and resume assessments are readily available online. 5. Finally, stay positive. It is easy to become discouraged if it takes longer than you anticipated to find a job. This will only hurt your chances, however, because employers are always looking for workers who have a good attitude. 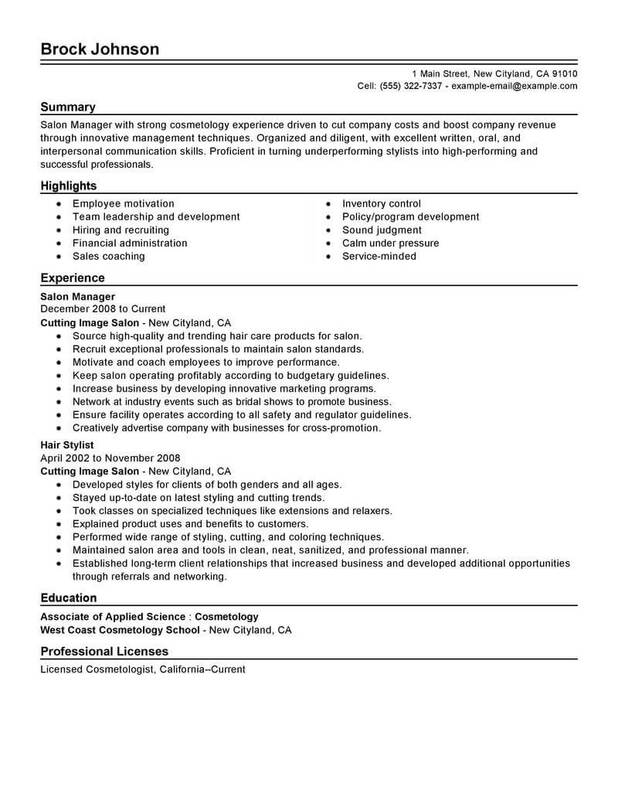 One of the most important parts of seeking jobs as a salon manager is the resume. This document alone may make the difference between getting called in for an interview and being passed on. Certain elements of your resume will be unique to the field you are entering, but this guide details some of the universal rules. 1. Research what the standard resume format is. It is expected that your resume follows certain formatting rules, and some employers may not even read it if it fails to meet these expectations. It is your responsibility to learn them and integrate them. 2. Find a way to be unique. This can be very difficult, especially considering how strictly the resume format is enforced, but you need to take the time to figure out how you are going to stick in the mind of readers without breaking the format. 3. The experience and accomplishments sections the most important. These are the areas that employers are interested in, so include the most and strongest information here. Additionally, it should not take readers too long to reach this information. 4. Be active. The reason the experience section is so important is because it focuses on the things you have done. 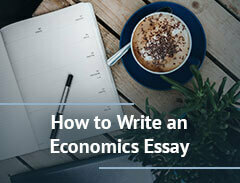 Be sure to really emphasize your actions when writing these sections. Include plenty of strong action verbs. 5. Finally, be sure to look over your resume after finishing. You should find every typographical error, but you should also analyze how well the organization of information functions. 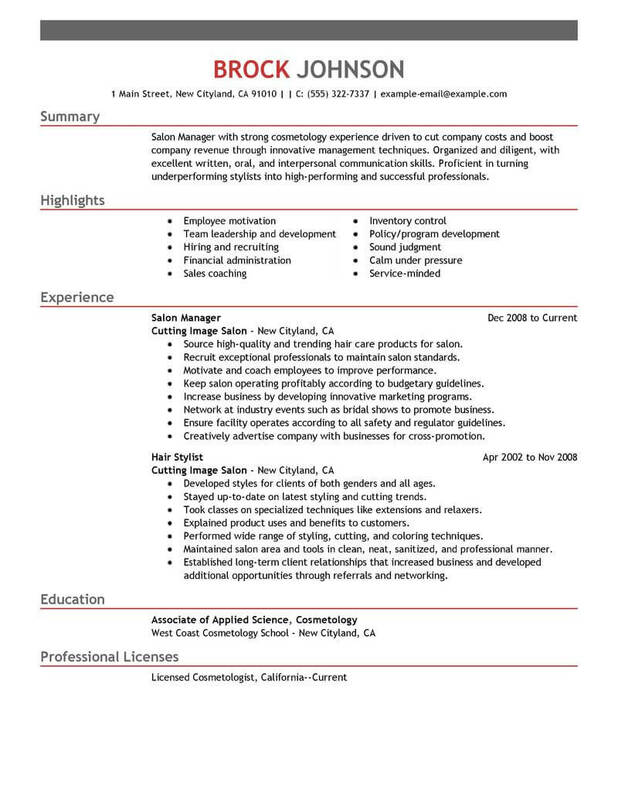 Is your resume appealing on a surface level?